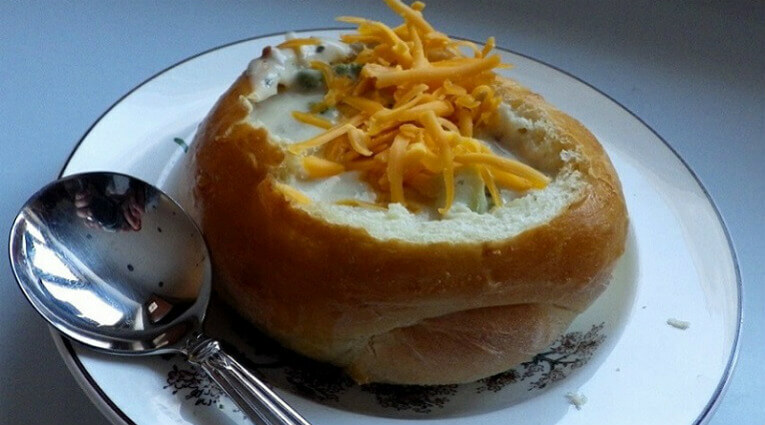 Nothing comes close to a hearty cup of soup or chili in a bread bowl. 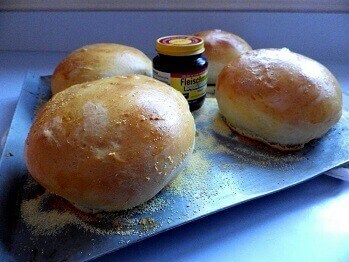 And they’re easy to start in your bread machine, but you’ll have to finish them in the oven. An egg glaze before baking gives them a chewy, crispy crust. It’s so much fun to eat soup, stew or chili in a bowl you can eat. What’s critical is to give the dough shaped bowls time to rise before baking. 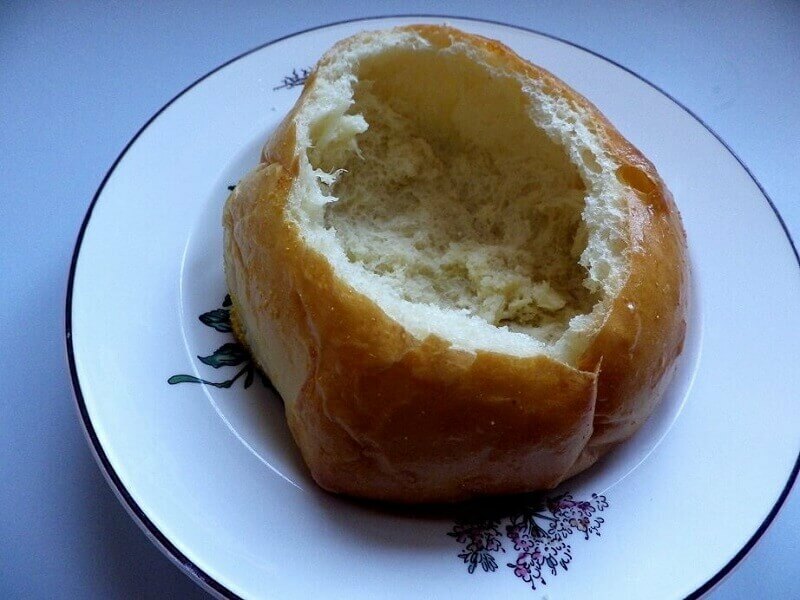 You want a large ball of dough with a high rise so you can scoop out the bread in the center to make the bowl. You can also reserve the bread scoopings for dipping into your soup, stew or chili. 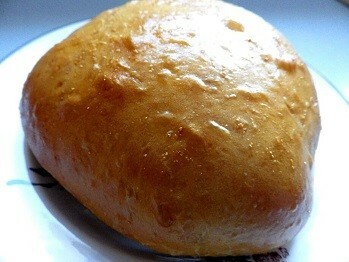 Beat the egg with milk and water and add to bread pan. Add the remaining ingredients and select dough cycle. 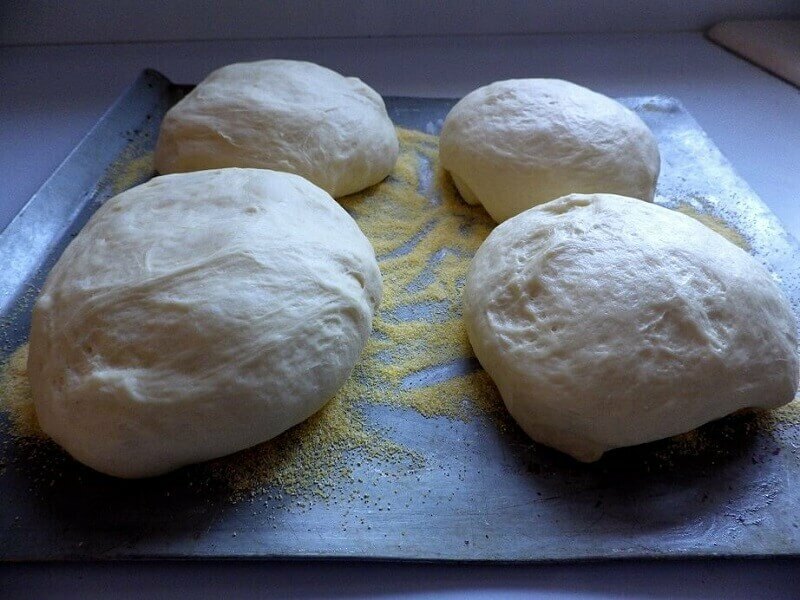 Once cycle is complete, take out dough to a floured surface & cut into 4 chunks. Shape into rounds. Spread a thin layer of cornmeal on the baking sheet. Place all four dough rounds on pan and cover with thin towel or plastic wrap to let rise for about an hour. Once doubled, glaze with the egg yolk mixture and bake in pre-heated oven at 350º for 20-25 minutes or until golden brown. Remove from pan and cool. Cut a thin layer across top and hollow out to about 1/4-1/2 inch in thickness. 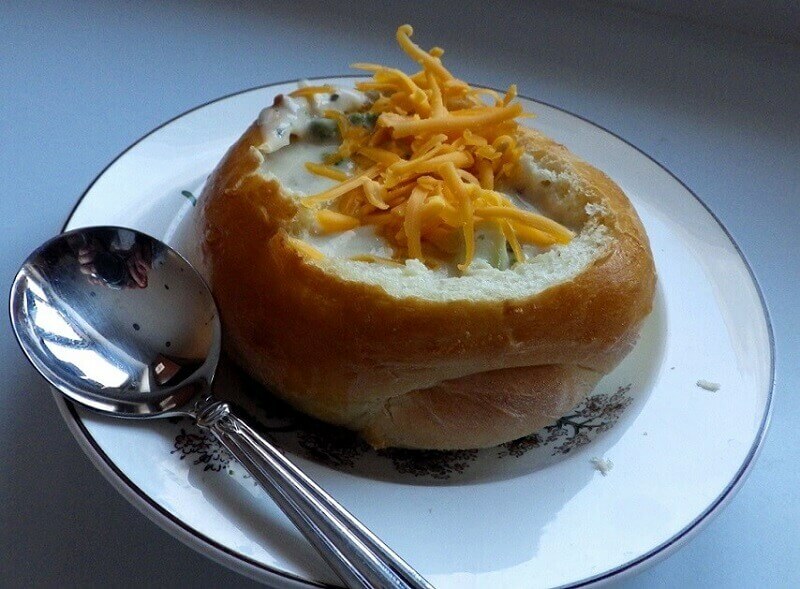 Fill with your favorite chili, chowder, or stew.